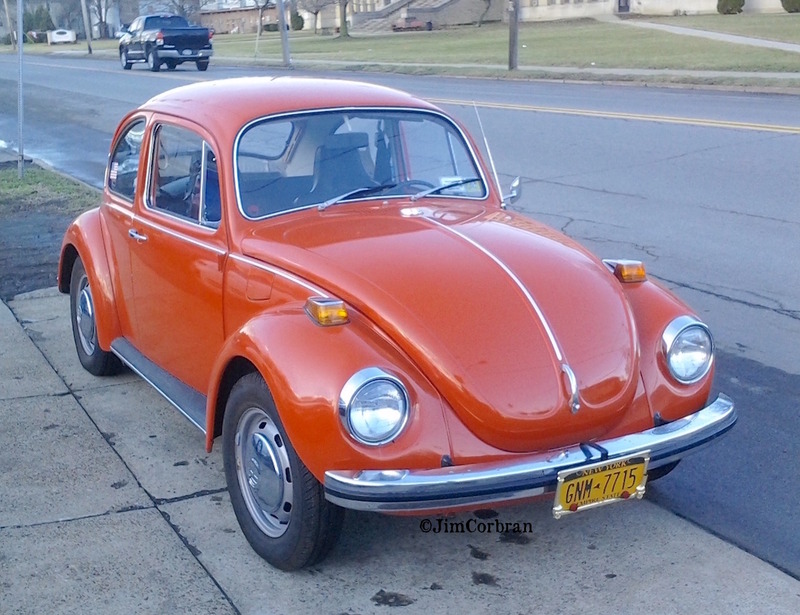 When this 1971 Volkswagen Super Beetle was new, it was the first year VW shoppers could choose between the standard Beetle (officially the VW 1200) and the Super Beetle. The differences? 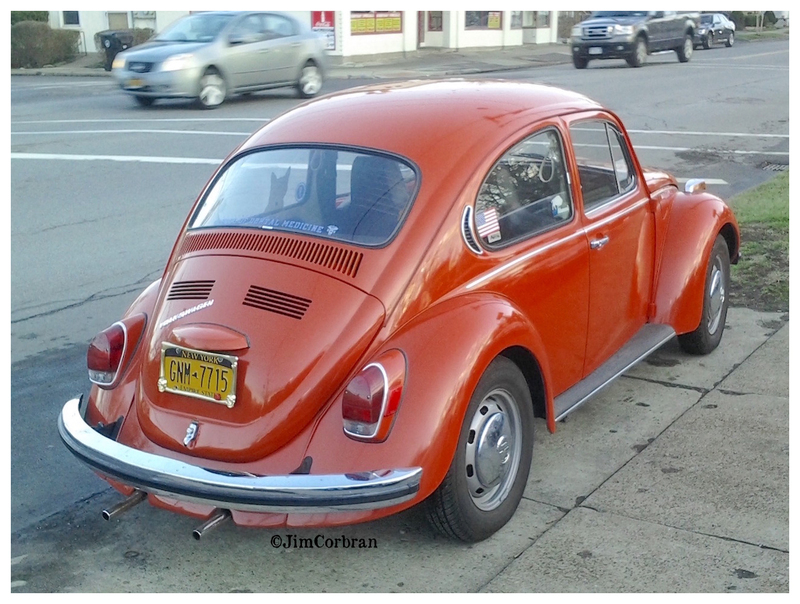 Not a whole lot on the outside, although the Super Beetle is about three inches longer, and its trunk lid doesn’t open as deep into the bumper area as the 1200’s. The biggest differences were in the front suspension — which was the main reason for the extra length. The American brochure is coy about the suspension change: “…we put in a different front suspension system. So you could get a more comfortable ride.” Not only did it ride better, it had a smaller turning radius and nearly 50 percent more luggage capacity. Saw this one last week just down the street from the RealRides main offices in Tonawanda.